Today we’d like to introduce you to Lindsay Klix. 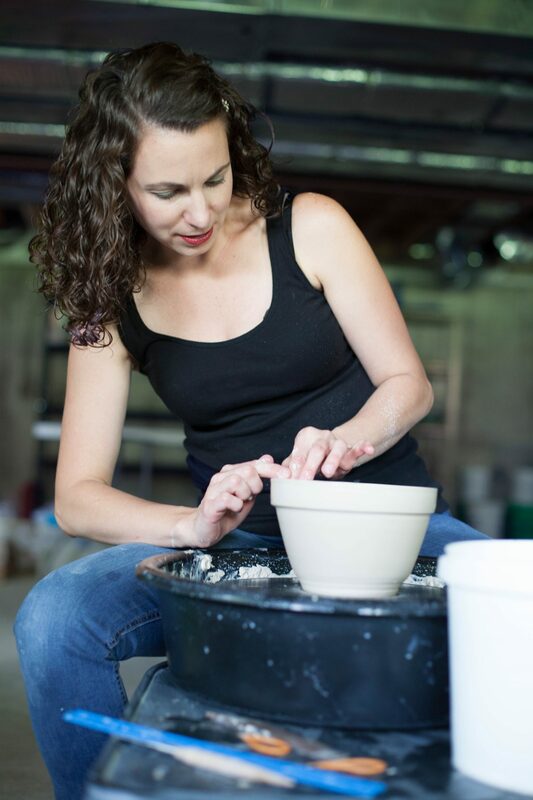 My journey as a potter started back in 1998. I was taking some metal smith jewelry classes at a community college, and was talked into taking a ceramics class by one of the instructors. That was it, I was hooked. I continued to make pots as a hobby. For years I had been asked if I sold my work, at that time my answer was always- No, I make for myself, for the love of it. It was after having my two daughters, when that love started to develop into a business. The thought of going back to an office job literally made me sick to my stomach. I felt lost not knowing what to do. So I went to where I always sorted out my problems, the place where claim and clarity take hold for me, I went into my studio to make pots. I find clay always has a way of showing me the answers I need. There is where I found my answer, literally right in my hands. So, I began to dream and envision selling my work through a website, while staying home to take care of my daughters. I began to put the vision of my website and the pots together. Many people, especially those who were close to me, thought I was a bit nuts. I had a newborn and toddler to take care of, how in the world was I going to start up a small business, selling art of all things! I decided that maybe they were right, maybe I am a little nuts, and that’s ok. If following your dreams is crazy, than I don’t want to be sane. So I decided to name my company Off Your Rocker Pottery. The path has certainly been filled with bumps, and lots and lots of uphill winding roads. But we all know that those are the roads that lead to the best views! I remember when I first launched my website. I was so excited! I had set up social media accounts already and had been getting some hype about the launch. Many people were already reaching out to me to purchase pots, and I already had sales just through Facebook. I anticipated an amazing website launch. Then the day came….and nothing. Not one single sale. I was heartbroken. I remember by the time night came I was an emotional mess. I had poured so much of my heart into this. I had been getting only four hours of sleep a night to accomplish this. I went upstairs into my bedroom and set an alarm, I was going to give myself 10 minutes to cry about it. And I did! I balled my eyes out, and in ten minutes when the timer went off, I wiped my tears, blew my nose and then went back to work. I guess that’s the advantage of being a little crazy, you don’t know when to give up. I guess I decided before that day that this was it, I had no other options, but that was the day I was made aware of the decision- I was never going to give up on this dream. There have certainly been many other detours and bumps along the way, but that was the one that had shook me the most emotionally. 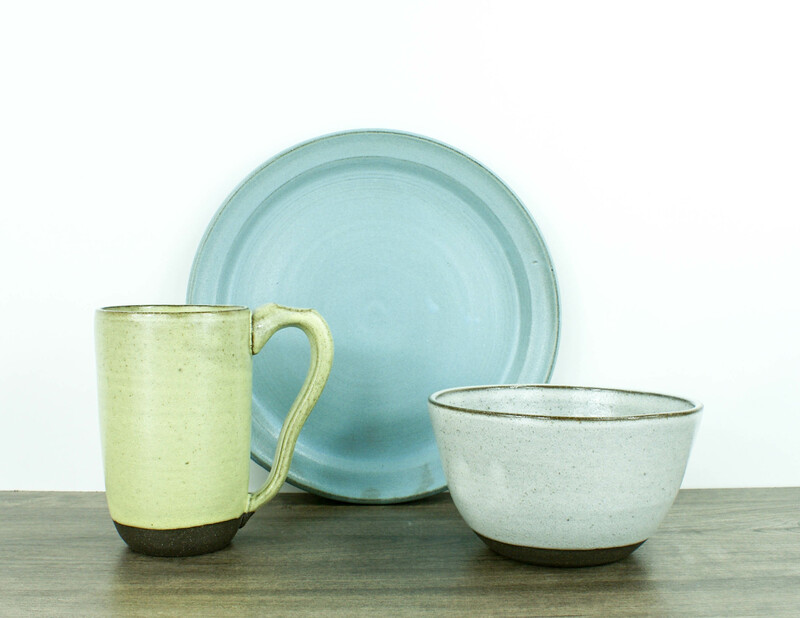 Off Your Rocker Pottery specializes in functional handmade dinnerware. This means all of my pieces are food safe. They are also dishwasher, microwave, and oven safe. The look and design of a piece is just as important as how it functions. I spend a lot of time in the kitchen cooking, I then transfer that experience into the function of my work. The rim of all of my bowls has been compressed to add strength. 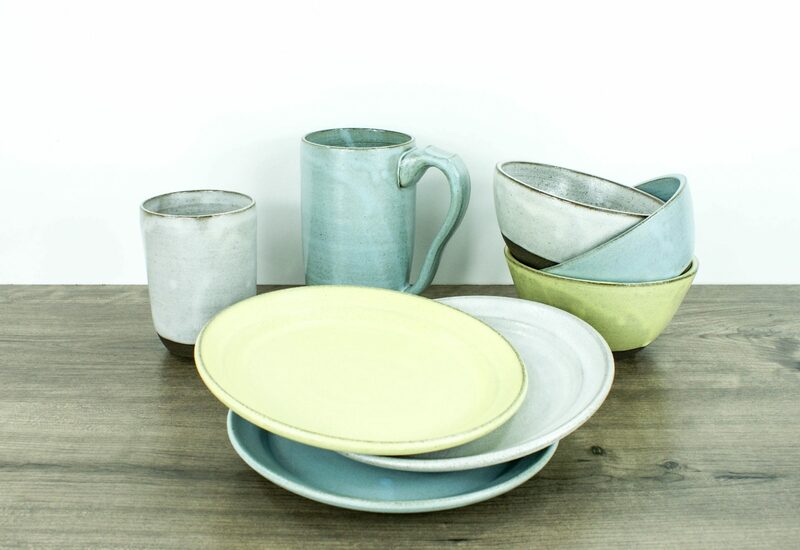 The bowls and plates are all designed to stack well in order to fit into your cabinets nicely. All drinking vessels have a trimmed lip; this makes it easier and more comfortable to drink from. And my handles I take extra care in. Each handle is hand pulled and formed to each pot. I add an ergonomic curve to it as well as a notch for your thumb. I have received many emails and messages from people who have had health issues, such as strokes or MS, that tell me how much the comfort and form of my handles has made such a difference for them. For the first time it has allowed them to hold a mug comfortably, or even with their non-dominate hand. Receiving these messages just reinforces to me that these tiny details are important and so worth the extra time and effort. Even my cups have an indention in the side as to add comfort when holding them. And then there are the bottoms of my pots. Many people don’t give much thought to the bottom of their dishes, but I give just as much time and love to the bottom as I do the top. I sand and hand polish each bottom. I personally have never liked the feel of rough clay. I take additional steps to smooth the clay, making it soft and silky. Not only is this wonderful when holding the pot in your hand, but it also ensures that it is not going to scratch up your furniture either. Each and every piece is completely made by hand in every step of the process. I do not use molds or dies in any step. You will see that even though I make sets, each one does have its own uniqueness, its own heart. As a child I had always been neat and tidy, paying close attention to details. These are traits that I have certainly carried with me into adulthood. My pots reflect this in their clean lines and forms. I have been making and creating things for as long as I can remember. At a young age, this creation was in the form of arts and crafts. I created items by sewing, crocheting, and everything in between. In elementary school, my best friend and I started our first “business.” We would sew hair scrunches – don’t judge, it was the late 80’s / early 90’s. We would rent a booth at the local farmers market to bring our amazing product to the masses! Like most start-ups, we would take all of our sales to buy more fabric and to cover the rent on next week’s booth. Our “business” has long been dissolved, but my drive to create and ambition for business continues to grow. Who knew so many years ago I would be doing a similar venture as an adult. Maybe I have always known my calling, or maybe I have just always stayed a kid at heart, I’ll let you decide on that one! What a great article. It is really interesting to see the behind the door what is going on in an artist’s mind. Such a great interview! Thanks for sharing your journey Lindsay, I could especially relate to that day you set your website up and nothing happened! It’s a tough journey but for the love & passion of clay, I think all bumps on the road are short lived 😉 I love your work especially your mugs. I will be looking to purchase from you soon. Your handles are so unique and delicate. 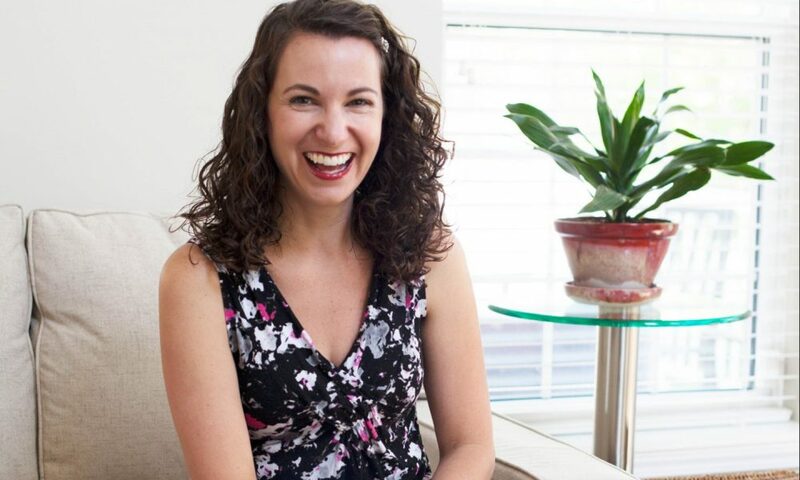 I was unsure if I should share so openly and vulnerable about when I launched my website. But then I knew I had to share so others who are starting out know they are not alone and that it is all part of the journey. Any questions at all please feel free to reach out to me anytime!